Meet Me at The Show -The Texas International Hair & Trade Show! There is a buzz around town, and it’s all about The Texas International Hair & Trade Show! All stylists and beauty industry lovers are welcomed! 2017 marks its 17th annual production. The show is Sunday and Monday, June 25 – 26, with a kick-off party Saturday, June 24th, that you do not want to miss! 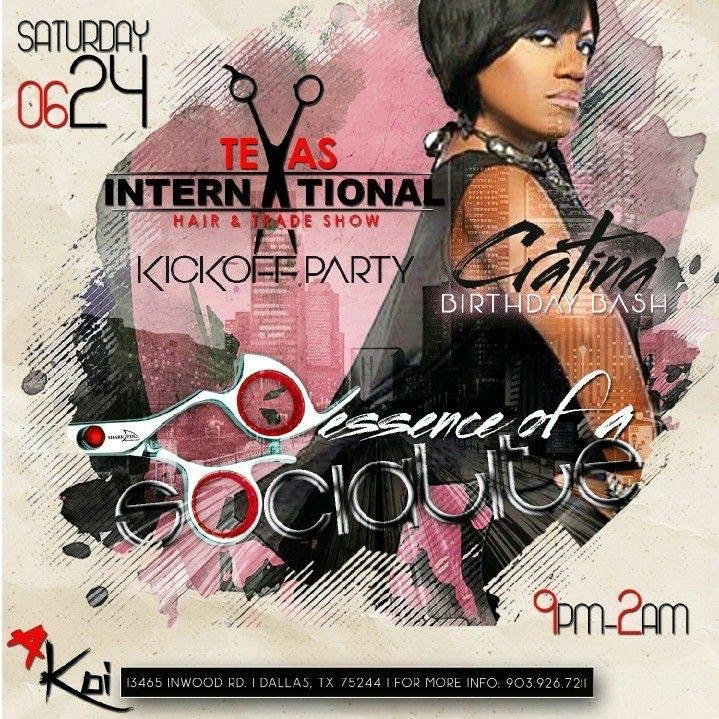 The TEXAS INTERNATIONAL HAIR SHOW Kickoff Party is going down at Akoi Lounge 13465 Inwood Rd (directly across from the Galleria Mall). A-list stylists, barbers, makeup artistS, fashion designers, models, socialites, and bloggers will be in the building for this birthday bash, meet and greet, kick-off party! Birthday bash? Yass! 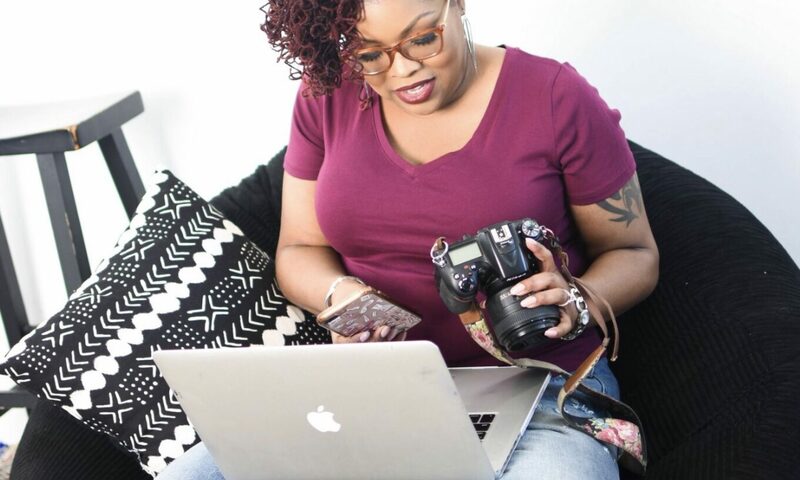 Miss “Success Anyone?” herself, Cratina Webb (Girl Talk Salon and Spa’s CEO, and Texas Hair Show director) is the birthday girl, so you know it’s going to be a Gemini/Cancer TAKE OVER! After the show is the…You know the rest, but after this party, ‘gon-on to the house and rest up, because Sunday and Monday are both full of events, competitions, and the latest and greatest in International Hair! Celebrity guests include: Christian Keyes, K104’s Dede in the Morning Show team, Big Bad D, Tracy Jones, Zerlene Rogers and more…..
Education! Color classes, natural hair classes, barber classes, nail classes, and business classes! Learn how to start and or grow your business. Live demos from the most sought after, influential stylists in the Dallas Fort Worth Metroplex. Vendors! Get in on the cool fashion finds your stylist rocks. THE HAIR BATTLE! It’s live and the absolute most exciting part of the show! This WILL be the greatest show in TIHTS history! Cleary, the show’s main focus is bringing the latest, most innovated products and techniques to professionals (and y’all already have those tickets purchased, I’m sure). However, the general public is welcomed as well! Now, we aren’t privy to everything, but we are welcomed to enjoy, all show events and competitions. So, if you have hair, had hair, love hair and the industry in general, GET YOUR TICKET TODAY! Pull your best and most comfy outfit out, whip your hair, and beat your face, cause we are in that thang y’all! Tickets are available through EventBrite. Find out more about TIHTS via Facebook (FB Texas Hair Show Media Group), Instagram, Twitter, email INFO@TEXASHAIRSHOWS.COM or TEXASHAIRSHOWS.COM, or by phone at 903-926-7211 or 972-322-6996! Enjoy a peek of what’s in store from last year’s shows!